'GangstaGo' won the day with a pair of deep run in the $20,000 guaranteed Twins tournaments. The spring festivals of online poker are now officially in full swing with the start of 888poker’s XL Inferno Championship series. The 2018 schedule consists of 34 events over 11 full days of action and over $2.8 million in guarantees. Some of the successful promotions that 888poker had introduced in prior XL competitions return for the 2018 XL Inferno. Multi-tournament winners will receive bonuses and the dollar amount gets exponentially larger with each tournament win. The bonuses span from an extra $1,000 for a two-time winner to a cool million dollars should someone dominate so much as to claim victory five times over 37 events. Also back is the Champion of Champions tournament. 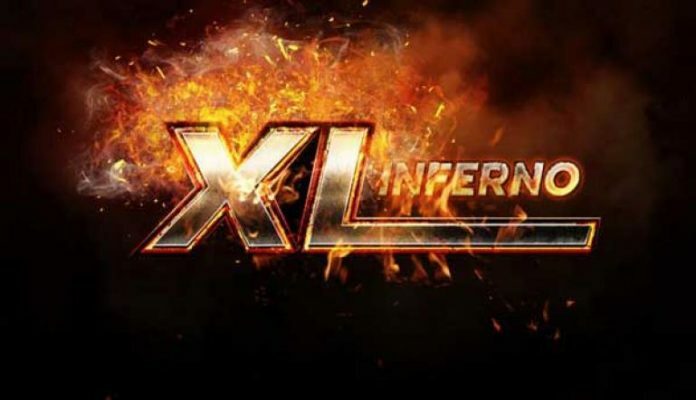 XL Inferno forgoes the leaderboard concept and simply rewards those who win an event by entering them in a bonus tournament. The winner of which will receive a $12,600 World Series Of Poker Las Vegas Main Event Package. The second and third place finishers will also find themselves headed to Las Vegas to participate in the signature 888poker Crazy Eights event. All the other champions will receive some form of free tournament ticket. The Day 1 schedule got underway with a series of “Opening Event” tournaments. Three tournaments at every level of buy-in provided big-time value as each surpassed their guarantees. The $109 Opening Event did not disappoint as 880 entrants helped shatter the guarantee, generating a prize pool of $123,700. The tournament paid out the largest cashes of the day with the top three finishers all earning five-figure scores. Every player that made the final table took home at least $1,500. A number of notable screennames made their way into the money including the Worldwide #20-ranked Russian phenom ‘josef_shvejk’, former XL Blizzard Opening Event Champion Jans ‘Graftekkel’ Arends and the #3-ranked German player ‘SmilleThHero’. In the end, it was a heated three-way battle between ‘psyhoagromor’, ‘_Lord_Xenu_’ and one of Ireland’s favorite poker ambassadors, Dara ‘Doke’ O’Kearney. O’Kearney already had quite the week, taking down his eighth PocketFives Triple Crown on May 8 and winning Event #12 of the partypoker POWERFEST online series for over $13,000. It looked like O’ Kearney was going to pull off another piece of the Championship Series Triple Crown, but it was not to be as The Chip Race host hit the rail in third place for just under $12,000. ‘psyhoagromor’ held on to best ‘_Lord_Xenu_’ for the top prize of the day, $22,266. ‘_Lord_Xenu_’ finished as the runner-up and hauled home just over $16,000. The largest XL Inferno field of the day belongs to the lower buy-in Mini Opening Event. The $12 tournament buy-in attracted 1428 entrants, 741 of which were rebuys. The modest price points helped draw enough players to push the prize pool to $23,642, easily surpassing the $20,000 promised. ‘Shebalow’ ended up besting Germany’s ‘bilblablupbp’ for the victory. and the $4,019 first place prize. Of the 162 places paid, the top five walked with four-figure scores including third-place finisher, PocketFiver ‘bigfishka44’ who earned over $2,200. PocketFives members Rob ‘brook0817’ Brookins from Canada and Finland’s Petri ’PS2011’ Nikkinen both found themselves at the final table as well. The $25,000 Late Opening Event sped to a conclusion on day one, taking only 7 hours and 20 minutes to complete. 489 entries, 152 of which were rebuys, posted the $55 buy-in generating a total prize pool of $32,050. Argentina’s German ‘germaxi’ Christiansen pulled out the victory, adding $6,089 to his bankroll. On May 8, Christiansen surpassed $1 million in lifetime earnings and now he can add an XL Championship to his resume. Canada’s ‘dankreas’ wrapped up the second place finish for $4,487. Also of note, Estonia’s #1-ranked Aleksei ‘LeshiyAS’ Smirnov, a constant presence in the XL fields over the past year, finished in seventh place for just over $1,000.